Rooted in the Su Wen and Ling Shu, Dr. Twicken integrates Chinese and Taoist medical philosophy, theories, and principles to clearly demonstrate that the Divergent Channels are an essential aspect of the clinical practice of acupuncture. He takes a step-by-step approach to assist practitioners in 'working out' the channels, and shows how this versatile channel system can be used in any acupuncture treatment. Twicken also includes instruction on Five Shen Nei Dan inner meditation to help practitioners gain a more profound emotional and spiritual understanding. With case studies and reference to the classic texts throughout, this book provides a complete resource that will help clinicians understand and use the Divergent Channels in clinical practice. 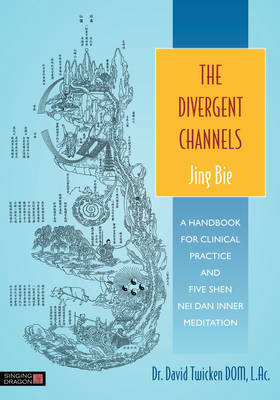 An accessible and comprehensive account of the Divergent Channel system, this book will be a valuable addition to the shelves of students and practitioners of acupuncture and Chinese medicine; taiji and qigong practitioners; and anyone with an interest in Taoist practice.